Thank you to all the sponsors, speakers, volunteers and attendees who made the conference such a successful and great event! ELC-Europe 2007 (ELC-E) is a joint conference with the 9th Real-Time Linux Workshop (RTLWS) that is organized by the Real Time Linux Foundation. This joint conference will consist of over 60 presentations on the subject of embedded and real-time Linux. Presentations on embedded Linux will cover a wide range of topics, including kernel enhancements for realtime, improved memory size, security, and power management. Also, there will be presentations on licensing issues, embedded distributions (covering OpenEmbedded, Embedded Debian, and PokyLinux), embedded graphics systems, flash file systems, and reports of experiences embedding Linux in actual products like TV sets and handheld devices. There will be tutorials on toolchains, packaging tools, and distributions, as well as "Birds of a Feather" sessions on a variety of topics. Come see the panel session on what makes the ideal Linux distribution, led by a group of distribution experts. Thomas Gleixner, the author of the new kernel timer system, and who is heavily involved in the RT-preempt patch set, will deliver a report on the recent kernel summit and giving an overview of the real-time status of the Linux kernel. Tim Bird, Chair of the Architecture Group of the CE Linux Forum, and maintainer of the kernel used for many Sony products, will host a BOF on the status of embedded Linux. Shane Martin Coughlan, Freedom Task Force Coordinator of the Free Software Foundation, Europe, will give a keynote on Free Software, licensing and business processes. To receive announcements about the event (including reminders about the event and schedule information), please subscribe to the elc-e2007-announce mailing list. Please click here to subscribe. The CE Linux Forum is hosting the first ever Open Source DLNA Summit, in Linz Austria, November 4, 2007. 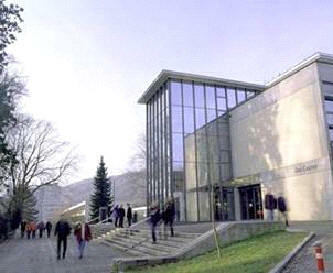 The summit is co-located with ELC-Europe. Please see the DLNA summit website for more information.